The Colchester-Milton Rotary Club will once again be supporting Our Military Families this Christmas Season with our project called Operation Polar Express #4. In our previous years, We have provided free Polar Express tickets for the children and the families of Our deployed soldiers here in Vermont. 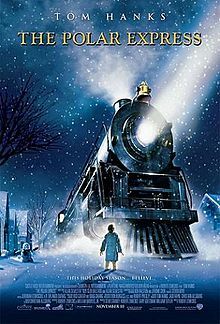 Polar Express has again reserved the noon train on December 15 for our Military Soldier family. Tickets are now $22 a piece And we have 235 slots to fill. We feel there is a strong need to run this program each year, not just National Guards, but Army, Navy, Air Force, Marines and Coast Guard. A small gift we can give to the children of our soldiers, who serve this great Country of ours. The Rotary club of Colchester-Milton would appreciative any donations you can make, so We can continue supporting The Military Train on the Polar Express. Checks should be made payable to The Rotary Club of Colchester –Milton Charitable Foundation (a 501-C) Or You can use this link to pay online. https://www.paypal.com/cgi-bin/webscr?cmd=_s-xclick&hosted_button_id=DLMPKPAYAQXAC to pay on line. Mail to: CMRC Attention: Polar Express PO Box 82, Colchester, VT 05446.